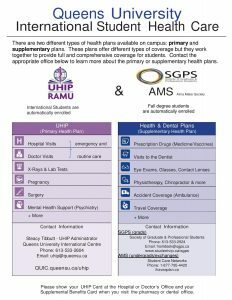 The University Health Insurance Plan (UHIP) is modeled after the health insurance provided by the Ontario government. 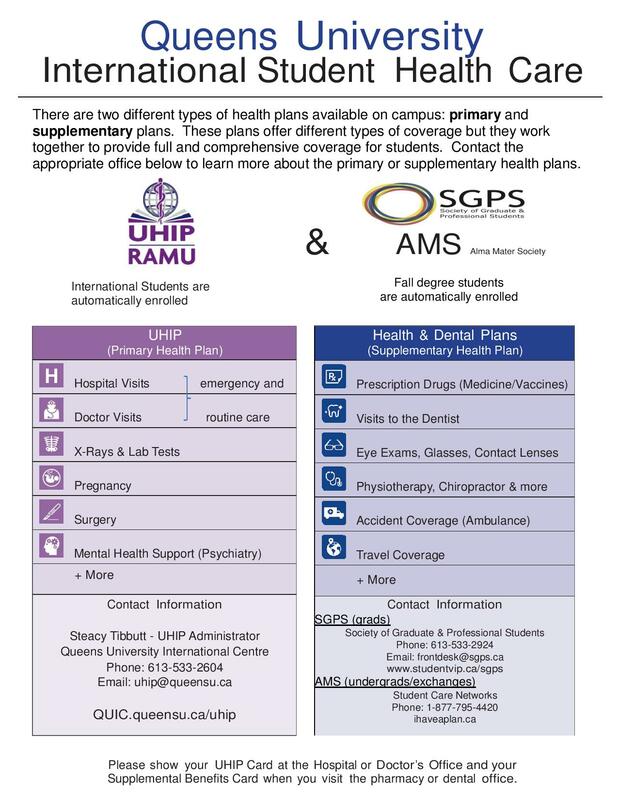 There are two different types of health plans on campus: primary and supplementary plans. These plans offer different types of coverage but they work together to provide full and comprehensive coverage for students. Contact the appropriate office below to learn more about the primary or supplementary health plans. For more in depth UHIP coverage information, visit the UHIP Site.